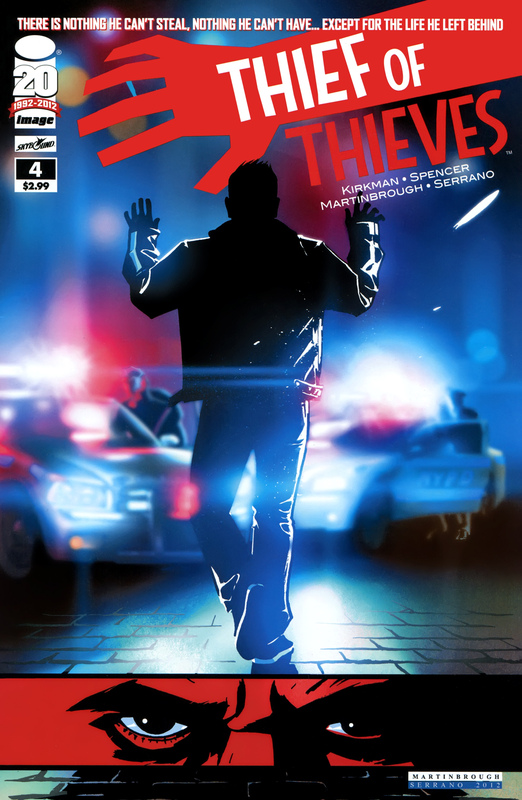 Before I start, I just want to say that Thief of Thieves #4 has the coolest cover yet. Like every issue thus far, there is a backbone to the story to which a series of flashbacks is set. The backbone this time revolves around Agent Cohen, Conrad’s current lover, interrogating Augustus, Conrad’s incarcerated son, for information about Conrad. Those scenes are really impressive. Agent Cohen literally does all of the talking while Augustus just sits there and worries. The most impressive part isn’t necessarily the dialog, but the emotion on the faces of the characters. This has been a constant so far throughout the series. Not many comic books seem to invest this much time in using the facial features to tell the story instead of the words that actually appear on the page. The flashbacks go back to when Augustus was taking on the job that got him incarcerated. He seemed like he was down and out, and this new mission was a desperation move. It involved moving drugs for a major drug cartel. The title of the segment was “Far From the Tree.” It implies that Augustus’ physical similarity to Conrad is where their similarities end. Augustus is a little less together. He is a bit of a slob and way less careful. By the end, Augustus is back in prison scared for his life that drug cartel that he failed will come back with a vengeance. Worst thing about it is I believe in a previous issue they said he was using Conrad’s thief brand name, Redmond, meaning Conrad might have his head on a platter as well. We end with a shot of Augustus reaching out to his father for help, an image we have already saw from Conrad’s point of view. Thank god that this comic is able to handle drama better than any other comic because the action/thriller aspects have been a little lacking. By the end of the story thought it is a little clearer why it is that way. These 4 issues have been more backstory and exposition than anything else. The stories have had a flow and cinematic scope that made the first 4 issues feel like only 2. Now that I write that out I see the ridiculousness of the statement. Why have 4 issues if it feels like 2? But the intention isn’t necessarily that you are getting shorted story, but rather it feels like a comic equivalent of 2.5 hour movie that doesn’t drag. It is easily the my most anticipated comic month to month.